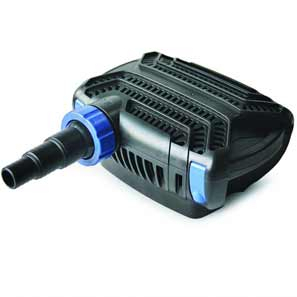 Need to Pump Water in Your Pond Efficiently? Welcome to the PowerBee Range of Garden Water Pumps & Filters for Ponds, Strong, Consistent, Economical Pumps, designed to Pump Water as Efficiently as possible. To Circulate & Oxygenate the Water. to Push Water through a Pond Filter. Powerbee Offer a complete Range of Quality Water Pumps for Your Garden Pond, we have very carefully chosen our models, and if they are not present then they haven't made our standards! Solar Pumps, Need No Electrician are Child and Fish Safe, Operate All Summer Long, Our Sunspray Pumps have Battery Backup as Standard, No Mains, No Fuss. Our Mains Water Pumps are more powerful, Cheaper to purchase than Solar, Operate Any time including UK Winter, but are much more Expensive to Run than Solar Powered Pumps, they are Ideal for Larger Ponds, Garden Waterfalls and Fountains. Mains Pumps do require an Electrician to Fit in the UK. For people Maintaining a Pond, it's challenging to keep them Clean, especially when you Add Aquatic Plants. Use a Water Pump to Circulate and Oxygenate the Water in Your Pond, Reduce Maintenance Significantly, Great for Fish, Plants and the general Health of Your Pond. You can compare the Water Pump to the heart in our body that ensures a proper blood circulation. With a water pump, water is oxygenated through proper circulation and will be delivered to the Pond ensuring the ability to support healthy life. It is a tool to ensure that the water can release hydrogen sulphide and carbon dioxide, and absorb oxygen. If you do not have a pump, there is less oxygen in the lower section of your pond this can limit the amount of fish it holds. Pond aeration at this level is important for the general health and well being of the entire Eco system. In a place that experiences a very humid weather, fish kill is a common occurrence. By having water pumps in your garden pond, you will be able to regulate the temperature of the water and prevent a major kill of your fish. You may also consider installing a back-up pump so you will be able to ensure that a second pump will function in the event that your pump fails to work. Pump or Spray Water All Summer Long, a Solar Powered Pump is Free to Operate, with battery backup You can Pump whenever You Need. We also Offer Efficient Lower Voltage Mains Pumps, which don't cost the earth to run. Ensuring the proper water circulation in your pond is essential to balance the ecosystem in the pond. Water Pumps are the tool that you need if you want to guarantee the health of your pond. It is a necessary tool to use when you are caring for your fish. When you are planning to buy pumps, consider the size and the type of pumps that you are going to use.